Feedback about the Quiz is welcome. Here are the some of the much awaited Quiz Files. Some files have been compiled based on memory – So there could be slight errors/rephrasing of questions. Do put your comments if you have any queries, questions etc. Enjoy! Click on the links below to download. This was my 3rd time at the Quiz and the first ever time I qualified for the finals. One of the best and biggest inter-school Quizzes in Delhi, this one is special because it is conducted by Siddhartha Basu (Though the research and preparation is done by his team the “Tree of Knowledge”). Tripathi Sir accompanied us in an auto. 6 teams make it to the finals after a Written Preliminary Round. The questions are mostly easy, but because of the large number of teams involved, the cut-offs are quite high and many teams are eliminated due to the “(*) starred questions. Deepesh and I had prepared a lot during the last 2 days, mostly Current Affairs and from some random quiz books. The venue had changed this time, from Talkatora Stadium to Sirifort as Talkatora is currently under renovation for the Commonwealth Games. Though Talkatora is a much better venue, I was happy that it was being held at Sirifort this time – Might just prove to be lucky for us (Quite a lot of happy memories at Sirifort). And it did. We not only qualified for the finals, but also came 2nd – Losing out to Vivekananda School on the tie-breaker….There were around 8-9 Rounds in the Finals – Headlines, Camouflage, Direct Questions, Audio, Video, True/False Propositions, All or Nothing. They had some of their familiar/trademark round and a new one called Camouflage – Where we had to find the answer out from many letters in 30 seconds after a clue (Like Mud Pit to Medal – Was Sushil Kumar. We managed to give some really good answers..Including 3 Dry questions in a row. We had pretty much led throughout the Quiz – closely followed by other schools….but messed it up in the All or Nothing Round where Vivekananda scored 30 Points. As usual, for the nth time this season, it all boiled down to a tie-breaker…But it was a satisfying experience. Having made it to the top 6 finally and then coming 2nd felt good. It’s not everyday that you come 2nd in a Sid Basu Quiz………. 🙂 We won iPods and Backpacks for ourselves – Which they still have not sent us. They did not even mention which iPod they are talking about – I just hope it’s not Shuffle! It turned out to be a memorable day. You can read more about the Quiz here. My Rating of this Quiz – 4/10. Held at the Indian Social Institute, this Quiz is organized every year by the Ozone Cell. I had come 2nd in this Quiz when I was in Class 8. But this year the Quiz had changed its venue, and I believe the paper-setters also. It’s a one-stage quiz (20 Multiple Choice Qns on Ozone Science). It was an extremely boring and absurd question paper, and I must have managed to get around 10-12 correct. There was negative marking too. 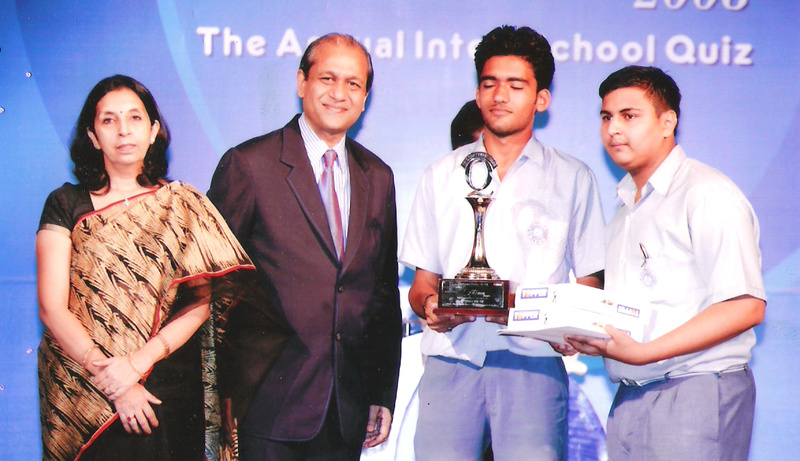 Anyways, Pranav Kumar from our school came 1st in the Quiz. He has been taking part in this Quiz from many years now and is an expert at Ozone Sciences and all environmental issues. 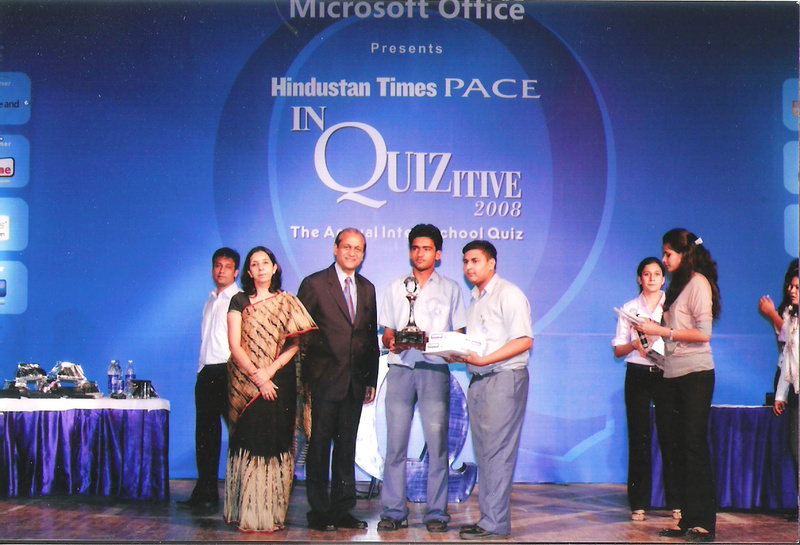 We came 2nd in this Quiz in 2006 (Sahil and I). This time, my partner was Deepesh from Class XII. This Quiz is organized by Times NIE and Doon Public School, Paschim Vihar. Mostly schools from West Delhi take part in this Quiz. The Prelims were conducted through a “High-Tech Self Assessment System”, where in the Question was shown on the screen (EduComp) and we had to press the correct option number on our remotes. Yes, they had given remotes to each school! 30 Qns in the prelims – And we got around 16 of them correct. There were around 15-16 schools in all. We qualified for the finals. And easily won this one. We got a bouquet of flowers!!! !, A trophy for the school, and a Pair of Binoculars each (Made in Russia)…..Well yes strange but true! We participated in the Quiz and Crossword here. Day 1 had the Quiz and Crossword Prelims. Quiz Prelims were quite easy. And we managed to solve quite a lot in the Crossword also. The Crossword clues were absolutely cryptic and it was fun to solve them…Some real tough ones had left our grey cells tickling! Day 2 – The Finals of the Quiz and Crossword. Dynamix has had some really good students in its clan, amongst them Roshan Shariff, Uma Damle (Now at NIFT Bangalore) and Prashanth Khanduri (These are the only ones I know). This fest is organized totally by students, with the teacher announcing there that – “Not even an iota of help was given by the teachers to the students”. But then the students messed it up….Bigtime! The Quiz finals were absolutely crap, the less said about them the better. Though the Crossword Finals were good, actually both these events were “fixed” beforehand. And this fact is quite well known now and I am sure about it. This was not quite needed. And it was extremely irritating – This team (Sanchia Khurana Harsh Dalal) from New Green Fields school got a perfect score in the Crossword Finals and knew almost each answer in the Quiz Finals. We came 3rd in the Crossword and were just “Finalists” in the Quiz. Results and Solutions of the Dynamix 2008 Fest can be seen here. My rating of the Quiz – 3/10. And for the Crossword – 5/10. My third time at this fest (Jointly organized by their Computer and Economics Clubs), we participated in the Symposium and Crossword. The Symposium (For which, Vaibhav and I had worked really hard) turned out to be a disaster for us. The topic we had chosen was – Use of Computers as Decision-Makers in Sports. Vaibhav was our Visual Aid Supporter, and I was the speaker. Rohit was the interjector for our team (He was told about it a day before, as usual). They had selected around 10-12 “Best” Presentations and called up the schools. (I believe they did not get more CD’s than that!). I exceeded the limit of 2 Minutes 30 seconds by around 2 more minutes. And Vaibhav also messed it up a bit during the synchronization. Though our presentation was good, I am not quite the best of speakers. Someone from the debating team would have been a better option. But this was a learning experience and definitely I can work upon the weaknesses and mistakes we did to improve ourselves. Also a suggestion for the Matrix-Ecomm Buzz Clan – Try having only 1 or maybe 2 Topics for the Symposium rather than having 6. Judging the content of 6 different topics becomes a difficult task and it’s not a level-playing field then. In the Crossword, we surprisingly came 2nd. Montfort School came 1st. Our score was 9 and the highest was 9. The Crossword did not have any cryptic clues, and was like a quiz-of-sorts. Again, there were some good questions and some absurd ones. But it was nice to be 2nd. We just got Individual Trophies and our certificates have not been sent to us yet! The results of the fest can be seen here. Went to attend the DPS MUN (Delhi Public School Model United Nations) Training Session at DPS RK Puram along with Vaibhav and Uma Tata Ma’am. There was a briefing and introduction from Mrs. Shyama Chona and then we had 4 Workshops all through the day – Starting from around 10-30 AM to 4-30 PM – Workshops on Resolution Writing and Position Papers, Caucusing, Speeches and the Executive Board and Internet Research. I came to know all about this famous event – There were DPS Branches from all over India. And we had some funny Mock Sessions also. My first experience of a “MUN”…..Would be a day to remember. A report of the training session can be found here. 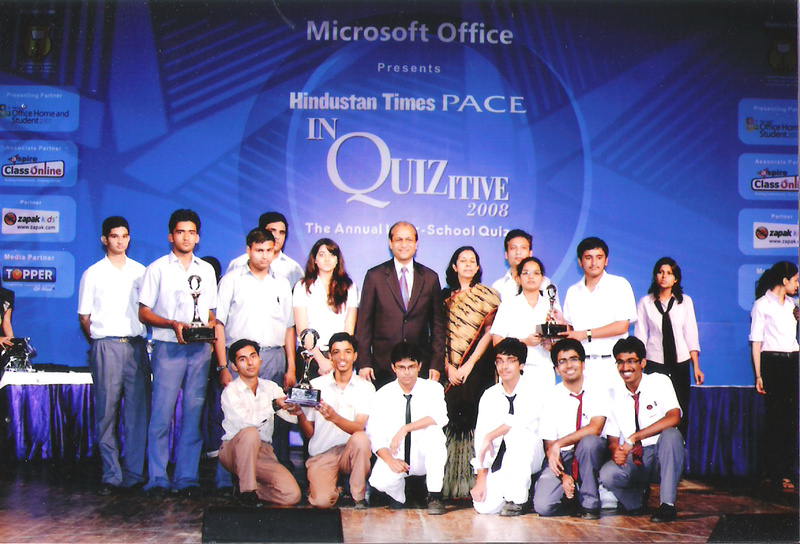 Preliminary Round of the CBSE Heritage India Quiz 2008 – Like the previous two years, we did not qualify for the finals even this year (Results were out recently). I attempted a whopping 95+ Questions (even though there was negative marking), but my partners did not perform upto expectations. This Quiz requires all the 3 members of the team to give the paper separately and then the total is added (600 Marks). The top 12 Schools from each Zone are selected. Even though my individual score was not bad, (Between 115-125), it actually does not count – Its all about the team effort. So will definitely make it a point to build upon a strong team for the 2009 edition. Best of Luck to all the teams who made it and I hope a Delhi School wins the Nationals! On 22nd August 2008, Rohit and I went for the Annual Inter-School Social Sciences Quiz held at Vasant Valley School, Vasant Kunj. I have been participating in this Quiz for 4 years now (This was my 4th time at the Quiz). In Class 8th, we did not even qualify for the finals. In 9th, Sahil Kalra and I reached the finals and came 3rd. Then again in 10th, Piyush and I came 3rd. So I have had a lot of experience in this Quiz. Its one of the few quizzes in which the Prelims are to be given on a computer and your score is automatically calculated. Also, there is a time limit of 900 Seconds (15 Minutes). The Quiz is generally of good standard and though it is a Social Sciences Quiz, it usually encompasses questions from all spheres – History, Geography, Sports, Business, Tech, Current Affairs, Arts, Literature, Music and Movies etc. The Quiz is conducted by their Social Sciences Department and they usually get some ex-student as quizmaster for the finals. This year, there were 40 Questions in the Prelims and compared to previous years, some questions were absolutely weird and not quite the “workoutable-kinds”. (What does SHFJ stand for in SHFJ Manekshaw’s name, How many countries does Israel border to name a few). There is negative marking (+1,-1) so the cut-offs are usually very low. I had enough experience to realize that it was best to attempt only those questions which we were completely sure about. So we attempted only around 14-15 questions and our score was a dismal 6. But even then we managed to qualify for the finals alongwith DPS RK Puram, Vasant Valley and GD Goenka. The finals of this quiz are a bit heavy on questions regarding Geography, Indian Crafts, English Movies, etc. We had been unlucky to have missed out both the previous years on a merit position. (Only 1st and 2nd Positions are awarded). But I was determined to win it this time around. Only, it was not to be – First Round – (Olympics) and first 2 questions of this quiz – On the Buzzer and we got both of them right – A good start, eh? But then things changed soon with rounds like Trees of Delhi, Geographical Features, Indian Currency Notes etc. This year’s quiz surprisingly was extremely mis-managed and there was no balance in the questions. The Quizmaster in the finals (The earlier one was pretty good), had no clue about the answers (He kept asking the teachers), and he was not quite the best of quizmasters. There was a power blackout, buzzers did not work (Most of the rounds were buzzer ones) and this quiz seemed to me like some lottery of sorts. There was chaos all around. I expected better from Vasant Valley. Also, strangely, all the tough questions were answered by the host school, which really raised questions in my mind. They were maintaining a pretty good lead through the quiz after some rounds. I am not sure whether the quiz was “fixed” or not but it seemed to me it was. I have never seen these persons quizzing anywhere and even then they won the quiz so easily. At the end of the quiz, we finished 4th (Out of 4 finalists L. It was not the best of experiences. But the good part was that atleast our qualifying streak continued! I guess missing the Don Bosco Mensa General Quiz for this one was not quite the wisest decision. (This quiz was also on the 22nd).